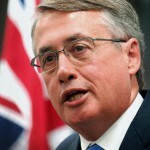 Maritime strikes won’t affect regional ports, Patrick says (0) April 7, 2011 Rolling maritime strikes won’t stop regional Queensland ports, stevedoring company Patrick says. 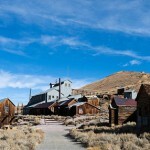 Anglo American plans new coal mines (0) April 7, 2011 Anglo American CEO Cynthia Carroll has announced a $2.7 billion growth plan which will see the development of two new underground coal mines. 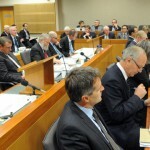 Legal issues at Pike River hearing (0) April 6, 2011 The preliminary hearing of the Royal Commission of Inquiry held yesterday was filled with emotion, including tears and a minute’s silence for the 29 lost men. Mine dust exposure tested in WA kids (0) April 6, 2011 As the impacts of mining on communities continue to be debated, a university in Western Australia is taking steps to find out what they are and how they affect people. 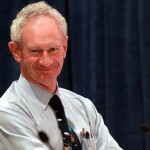 WA Aboriginal community reject $10 million per year for land rights (0) April 6, 2011 Andrew ‘Twiggy’ Forrest remains locked in a battle with a Western Australian Aboriginal community over mining on traditional land. 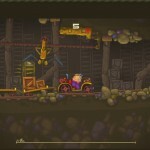 The wild wild east (0) April 6, 2011 Miners are always searching for that latest underdeveloped province, but as the world grows smaller there are fewer and fewer places that are yet to be fully explored. 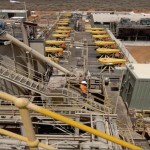 Magellan Metals halts Wiluna lead mine operations again (0) April 6, 2011 Magellan Metals have announced that it is again halting operations at Wiluna after finding lead outside of shipped bags. 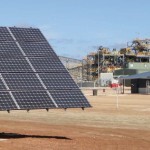 Australia’s first 100% renewable energy-powered mine (0) April 6, 2011 In an Australian first, a Western Australian mining company is planning a mine completely powered by solar and wind power, in the next three years. 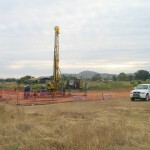 Ausdrill to raise $149m; hires Wal King (0) April 6, 2011 Ausdrill has annouced it is aiming to raise $149.5 million in capital and that Wal King has joined Ausdrill, taking on the role of deputy chairman. 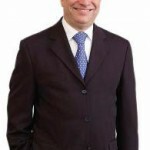 Vale announce new CEO (0) April 5, 2011 Iron ore giant Vale have announced Murilo Ferreira will take over as its new CEO. 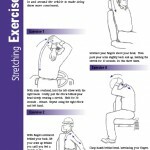 Blast fumes injure miners (43) April 5, 2011 More miners at BMA’s coal mines have been hospitalised following exposure to blast fumes. Movers and Shakers: Russell Fountain, Finders Resources (0) April 5, 2011 Russell Fountain, Chairman of Finders Resources Ltd, has travelled the world, from Papua New Guinea to Fiji and America as a geologist. NSW scrap Part 3A (0) April 5, 2011 Newly instated NSW Premier Barry O’Farrell has announced the scrapping of Part 3A of the Environmental Planning and Assessment Act. 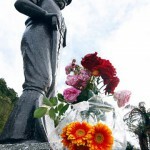 Pike River Royal Commission of Inquiry begins today (0) April 5, 2011 The Royal Commission of Inquiry into the deaths of 29 men inside the Pike River Coal mine will begin with a minute’s silence today. WA drilling program draws in explorers (0) April 5, 2011 The West Australian Government’s latest drilling program has attracted 60 applications from companies eager to explore. 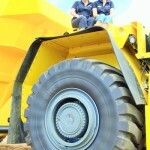 Mount Isa Expo opens (0) April 5, 2011 The Xstrata Mount Isa Expo kicks off today. 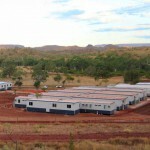 Queensland councils seeks cap on FIFO mining camps (0) April 5, 2011 The Isaac regional council is seeking to have a cap on FIFO mining camp construction. 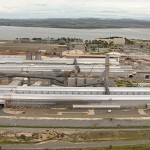 BHP denies explosion at WA mine (0) April 5, 2011 BHP Billiton has denied claims from unions that a dangerous explosions occurred at its Nickel West Mount Keith mine today, saying it was actually a small fire. 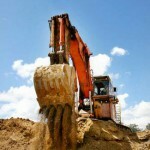 New online forum launched to discuss skills shortage (0) April 4, 2011 A new online forum has been launched to discuss and deal with the issues of the skills shortage in the mining sector. 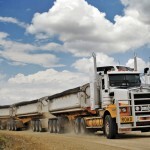 State govt heading in right direction: NSW Minerals Council (0) April 4, 2011 New South Wale’s new government has the expertise to handle the challenges in the state’s minerals sector, according to the leading industry body. Mt Gibson ends Extension Hill agreement (0) April 4, 2011 Mount Gibson Iron has announced that it will terminate an agreement with Shougang Concord International. 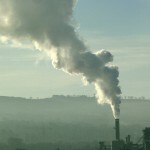 Pricing carbon key focus: QRC (0) April 4, 2011 Government policies are standing in the way of economic development in north-west Queensland, the state’s leading industry body says. 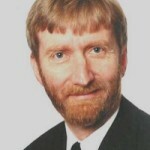 David Cliff appointed director for minerals safety centre (0) April 4, 2011 Explosion expert Professor David Cliff has been appointed the director of the Minerals Industry Safety and Health Centre at the University of Queensland. 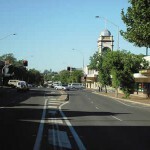 Maitland needs dust monitor, says Councillor (0) April 4, 2011 A Maitland councillor says the town is being neglected in air quality control readings, sending the message that governments don’t want to know about pollution. Birla Mt Gordon underground collapse remediation (0) April 4, 2011 Aditya Birla has begun work to repair the underground collapse at its Mt Gordon mine. Mining a “bright light” for economy (0) April 4, 2011 The Tasmanian Resources Minister says the mining sector is a bright light in the economy, and welcomed new developments at the official launch of a new venture in the state. Rum Jungle dunny phosphate find (0) April 4, 2011 Rum Jungle has uncovered a potential phosphate mother load while digging a toilet. 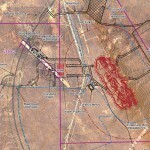 South Australian explosives factory in the works (0) April 1, 2011 A three year feasibility study will be undertaken for a $350 million explosives factory at Port Bonython, in South Australia. QLD mine goes pink for breast cancer awareness (0) April 1, 2011 A pink haul truck has been unveiled at a central Queensland mine in support of breast cancer. 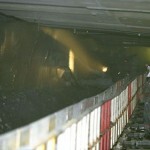 Coal Mining TV [Video] (0) April 1, 2011 Catch Spike TV’s first episode of Coal – a coal mining reality show. 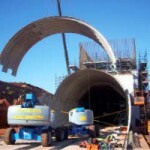 GR Engineering for $150 million IPO (0) April 1, 2011 GR Engineering Services is set to carry out Western Australia’s largest float this year. 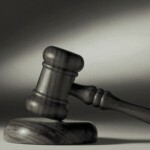 Swick Mining wins new drilling contracts (0) April 1, 2011 Swick Mining Services have won a number of new drilling contracts. 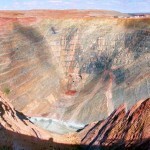 Gold miners accuse government of using false data for mining tax (0) April 1, 2011 The gold mining sector has slammed the Federal Government’s new mine tax, saying it ignores the difficult task companies in the industry have. 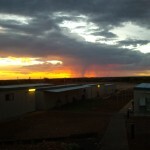 Reed Resources to re-start Meekatharra gold project (0) April 1, 2011 Reed Resources expects to re-start mining at the mothballed Meekatharra gold project in Western Australia by late next year. 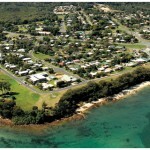 Centennial moves forward with Mandalong exploration despite council rejection (0) March 31, 2011 Wyong Councillors have again rejected Centennial Coal’s application for an access agreement to Council owned land at the waste disposal site at Buttonderry. 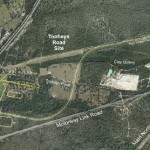 Centennial moves forward with Mandalong South exploration despite council rejection (0) March 31, 2011 Wyong Councillors have again rejected Centennial Coal’s application for an access agreement to Council owned land at the waste disposal site at Buttonderry. Pike River formally for sale (0) March 31, 2011 The Pike River Coal mine, where 29 men perished in November, will formally be put on the market next week. 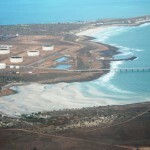 Rio Tinto’s claim delay Pilbara desal plant (0) March 31, 2011 A water rights dispute could delay the construction of the $370 million West Pilbara Desalination Plant. Underground trucks and Kalgoorlie, with Jeremy Clarkson [Video] (0) March 31, 2011 Top Gear’s Jeremy Clarkson has a look at what is moving miners underground, and a brief look at the town of Kalgoorlie. 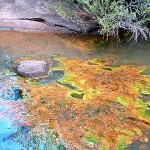 Barnaby Joyce warns of mine pit lake threat (0) March 31, 2011 Senator Barnaby Joyce claims the Queensland Government has failed to address the issue of contaminated water in a pit lake at the Mount Morgan gold mine. 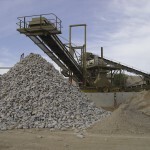 Serious incidents at QLD mines jump (0) March 31, 2011 A report by the Queensland Government has shown an increase in serious incidents at mines and quarries in the state and found a quarter of the serious incidents involved fire. 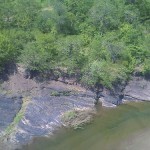 Brown coal dewatering trials a success (0) March 31, 2011 Mantle Mining has announced the successful dewatering transformation of a bulk brown coal sample. 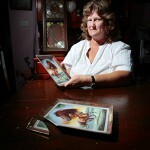 Woman sues mining company for sexual harassment (0) March 31, 2011 A Pilbara mine worker says she was told to accept sexual harassment in the workplace because it was a part of the mining industry. 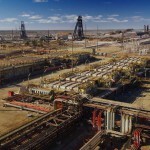 BHP Olympic Dam project moves forward (0) March 31, 2011 BHP Billiton have announced that the Olympic Dam project has moved into the feasibility study. 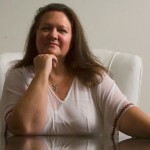 NT Country Liberals change stance on mining (0) March 31, 2011 The Northern Territory Opposition has had a change of heart and reversed its opinion on uranium mining at the Angela Pamela deposit near Alice Springs. 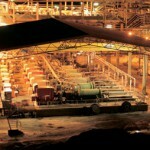 WA mining industry worth $90 billion (0) March 31, 2011 Western Australia’s mining and petroleum industry has skyrockted in value since 2009, reaching a record $91.6 billion in 2010. 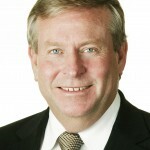 Barnett questions Commonwealth power on mining tax (0) March 30, 2011 WA Premier Colin Barnett has queried the Federal Government’s ability to withhold GST payments from states that increase mining royalties. High reading sparks procedure change for Upper Hunter air quality procedures (0) March 30, 2011 A review into the procedures for checking equipment in the Upper Hunter Air Quality Monitoring Network is underway, following a false reading that sparked a health warning. Mine leak affects Queensland graziers (0) March 30, 2011 A grazier in north-west Queensland claims waste leaking from a nearby mine has turned water on his property bright blue. 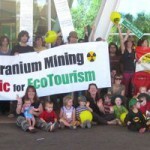 Greens fight Pilbara uranium mining (0) March 30, 2011 The Greens want the federal government to reject the proposal by Canadian company Cameco to mine uranium in Western Australia on environmental grounds and say they will fight the bid. 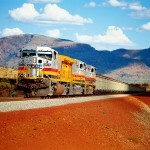 Thiess wins BHP Pilbara iron ore contract (0) March 30, 2011 Thiess has been awarded a $166 million contract for BHP Billiton’s Jimblebar iron ore mine. 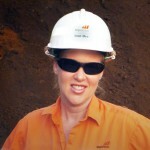 Minara aiming to boost female miner numbers (0) March 30, 2011 Minara Resources is looking to increase the number of women on its mines to address the skills shortage. 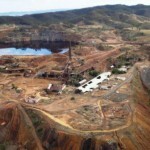 Rio’s bid for half of Riversdale stalls (0) March 29, 2011 The outcome of Rio Tinto’s bid for a majority stake in Riversdale Mining is expected to be announced today. Mining mental health forum today (0) March 29, 2011 The Australasian Centre for Rural and Remote Mental Health is holding a forum in Perth today, focused on miner’s health and suicide prevention. Macarthur’s Coppabella Mine goes blue for men’s cancer (0) March 29, 2011 The giant new dragline bucket at Macarthur Coal’s Coppabella Mine has been painted blue to raise awareness for men’s health and cancer. Xstrata keeping kids healthy in Mount Isa (0) March 29, 2011 Xstrata has launched a program to provide regular physical activity in local parks and provide parents with healthy eating tips in Mount Isa. Ausenco win Isaac Plains coal plant contract (0) March 28, 2011 Ausenco has won a $25 million contract to provide services to the CHPP at the Isaac Plains Coal Mine until June 2012. Monday Morning Mining Game (0) March 28, 2011 A little mining game on a monday morning. Community meeting for Hay Point Coal Terminal expansion (0) March 28, 2011 The third stage of the Hay Point Coal Terminal expansion in Queensland will be discussed with the community at an information session tomorrow. Coal train support rail yard approved for the Hunter (0) March 28, 2011 Pacific National has announced the construction of a $110 million train support rail yard at Greta, in the Hunter Valley. 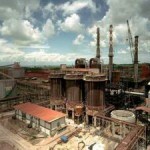 Rio union battle to go global (0) March 28, 2011 The Australian Workers Union (AWU) has taken its battle with Rio Tinto Alcan to a new level. 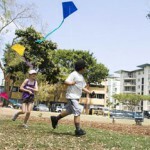 QLD opposition against North Stradbroke sand mining ban (0) March 28, 2011 The Queensland opposition has slammed the decision by the Bligh government to declare a fifth of North Stradbroke Island national parkland, banning sandmining. 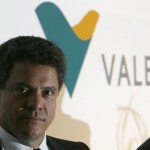 Vale CEO Roger Agnelli kicked out (0) March 28, 2011 The Brazilian Government has brought down pressure on Vale to kick current CEO Roger Agnelli out of the top position. Galaxy Resources’ solar powered lithium mine (1) March 25, 2011 Galaxy Resources has received an award for its solar tracking panels at its Mt Cattlin lithium mine. 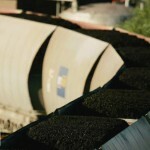 QR national approve Goonyella coal rail expansion (0) March 25, 2011 QR National has approved a $185 million expansion of the Goonyella coal rail network. 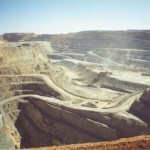 NSW left out of funding: Minerals Council (0) March 25, 2011 The NSW Minerals Council has accused the Federal Government of overlooking the state on funding from the mining tax. 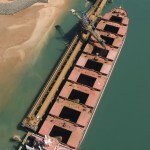 BHP to expand WA iron ore; QLD coal operations (0) March 25, 2011 BHP Billiton has approved $US 7.6 billion to continue the expansion of its Western Australian Pilbara iron ore operations. 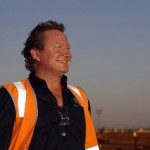 Twiggy Forrest says BHP designed mining tax (0) March 24, 2011 Despite changes to the mining tax recommended by Don Argus, Fortescue Metals chief executive Andrew ‘Twiggy’ Forrest says the tax remains unfair and is “designed” by BHP. 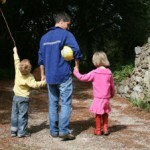 New guide offers advice for FIFO families (0) March 24, 2011 A new guide with advice for mining families has been released, offering tips and guidance to ease the pressure of fly-in, fly-out (FIFO) on relationships and families. New bridge to boost New Hope Group operations (0) March 24, 2011 A new bridge to be built over a busy road is expected to improve operations for the New Hope Group’s operations west of Ipswich. 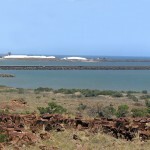 WA explosives plant gets the go ahead (0) March 24, 2011 A new explosives manufacturing plant in the Burrup Peninsula has been given the green light. 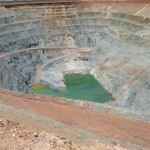 Sibelco to take mining ban to media (0) March 24, 2011 Mining company Sibelco has been forced to close its major mine eight years earlier than expected and says it will take the matter to the mass media. Sulphuric acid spill at Rio Tinto Yarwun refinery (0) March 24, 2011 Investigations are being carried out into a sulphuric acid spill at Rio Tinto’s Yarwun alumina refinery. Alan Boeckmann retires from BHP board (0) March 24, 2011 Alan Boeckmann has announced his retirement from the board of BHP Billiton. 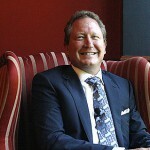 Twiggy Forrest Australia’s richest businessman (0) March 23, 2011 As the mining industry continues to flourish, executives in the sector are turning record profits, with Andrew ‘Twiggy’ Forrest today named as Australia’s richest businessman. 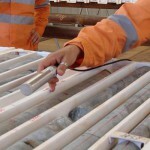 Poseidon Nickel to carry out massive drilling at Windarra (0) March 23, 2011 Poseidon Nickel is set to carry out the largest diamond drilling program at Windarra since the 1980s, the miner says. 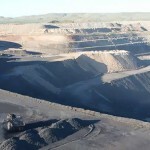 Xstrata accused of pushing QLD farmers out (0) March 23, 2011 Xstrata coal has been accused of forcing long-term farming families out of their properties with its project at Wandoan, in Queensland’s southern inland. 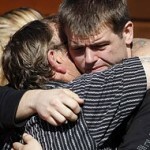 Pike River families say Royal Commission of Inquiry too short (0) March 23, 2011 The families of the Pike River Coal victims say The Royal Commission of Inquiry into the tragedy will need more than 15 weeks to properly examine the incident. 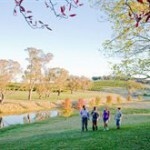 Anglo American lodge application for Drayton coal mine extension (0) March 23, 2011 Anglo American has lodged an application to expand its coal operations in the Hunter Valley. 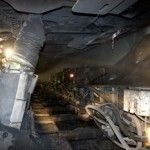 30 bodies retrieved from Pakistan mine (0) March 23, 2011 Latest information from the Pakistan mine collapse says 45 miners were working in the underground coal mine at the time of explosion and collapse and all are confirmed dead. 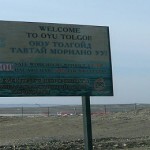 Safety concerns see walk out at Bechtel’s Yarwun 2 refinery (0) March 23, 2011 There has been a mass walkout at Bechtel’s Yarwun 2 refinery construction site over safety concerns. 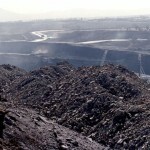 Pakistan mine collapse toll at 52 (0) March 22, 2011 Latest estimates for the death toll at the Pakistan coal mine that collapsed on Sunday have reached 52. 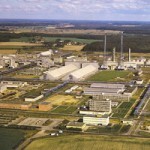 Oakajee denies Australian report of cost blow out (0) March 22, 2011 Murchison Metals has slammed a report about Oakajee Port and Rail (OPR) today in The Australian, which it says was unsubstantiated and speculative. Iluka; Bemax propose mineral sand mines in NSW (0) March 22, 2011 Iluka Resources and Bemax Resources have put forward plans for new mineral sand mines in Balranald, NSW. 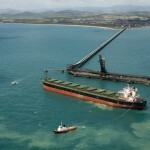 Sand mining to cease on North Stradbroke Island by 2025 (0) March 22, 2011 Queensland Premier Anna Bligh has announced a timetable to completely phase out sand mining on North Stradbroke Island. Details of Pike River commission of inquiry released (0) March 22, 2011 Details of the royal commission of inquiry into the series of explosions at Pike River have been released, with a preliminary hearing set for 5 April in Greymouth. 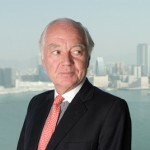 Imdex acquires Mud-Data (0) March 22, 2011 Imdex has acquired Mud-Data, a German drilling fluids and equipment company. 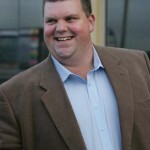 Miner denies secret payments to QLD Minister Nuttall (0) March 22, 2011 Queensland Mining identity Harold Shand gave $60 000 to Cabinet minister Gordon Nuttall, who requested cash to buy several houses, a jury has been told. 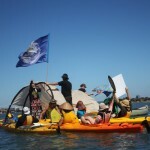 Margaret River coal project denied by the EPA (0) March 22, 2011 The Environmental Protection Agency (EPA) has knocked backed the Vasse Coal project in Western Australia’s Margaret River region following a board meeting yesterday. 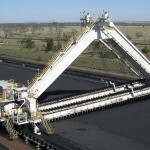 Anglo American suspends coal mine operations (0) March 22, 2011 Anglo American has halted operations at its Dawson and Callide coal mines following two serious incidents. Pakistan mine blast kills 21 (0) March 21, 2011 The death toll of a coal mine that collapsed after a methane explosion has risen to 21, with 15 more bodies recovered by rescue workers today. 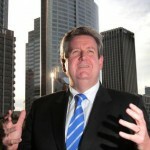 Exciting time for gas industry, Ferguson says (0) March 21, 2011 Following the release of an ABARES report on Australian Energy, Resources and Energy minister Martin Ferguson stated that it was an exciting time for coal seam gas. Anti-mining activists protest in Sydney (0) March 21, 2011 Heavy rain didn’t stop over 1000 anti-coal mining and coal seam gas activists from around New South Wales have holding a protest in Sydney yesterday. 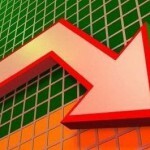 Rising boom yet fewer mining jobs (0) March 21, 2011 Despite a growth in mining, a report says South Australia’s resources sector employs 5000 fewer people than it did in 2007. 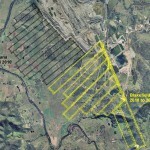 Wind powered mine Australian first (0) March 21, 2011 In a move that is sure to please environmental activists, Tectonic Resources has announced the Phillips River Project could be the first wind powered mining operation in Australia. 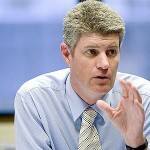 QLD to develop new blasting guidelines (0) March 21, 2011 After two dangerous blasting incidents at BMA coal mines, Queensland is new developing new shot firing guidelines, Stirling Hinchliffe says. 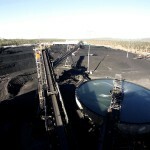 Centennial wants to extend Myuna mine (0) March 21, 2011 Centennial Coal has lodged plans to extend the life of its Myuna mine at Wangi Wangi until 2031. EPA to rule today on Margaret River coal mine (0) March 21, 2011 Western Australia’s Environmental Protection Agency will rule today on the level of assessment for a proposed coal mine in the State’s Margaret River region. 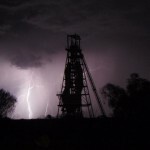 Cobbora mine deal could cost taxpayers $6 billion (0) March 18, 2011 The development of the Cobbora mine in New South Wales’s central west is expected to cost billions of dollars more in taxpayer dollars than originally thought. Decision on Tarkine mine announced today (0) March 18, 2011 The decision on the contentious Tarkine mine in Tasmania’s north west is expected to be announced today. Grosvenor Coal project moving forward (0) March 18, 2011 Anglo American’s Grosvenor underground coal project, near Moranbah is one step closer, with the company releasing the Environmental Impact Study (EIS). 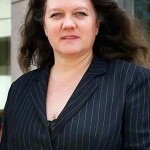 Government moves towards more Indigenous employment in resource sector (0) March 18, 2011 The Gillard government and the Aboriginal Mining and Building Association (AMBA) may be joining forces, along with the Downer Group Coal Mine to employ 30 Indigenous workers. 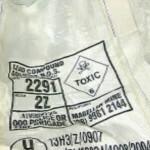 Blood lead levels drop in Mount Isa (0) March 18, 2011 A study by Queensland Health has shown a significant drop in the blood lead levels of children in Mount Isa. Hay Point coal port development moves forward (5) March 17, 2011 Aurecon joint venture Aurecon Hatch is working with North Queensland Bulk Ports Corporation to assist in developing a master plan for Hay Point’s expansion. 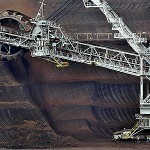 Carbon tax could damage foreign mining investments (0) March 17, 2011 The proposed carbon tax may damage foreign mining investment in Australia, with companies confused about how the tax will affect them. Pike River putting sale ahead of recovery: families (0) March 17, 2011 Families of the Pike River Coal victims say the receivers are more concerned with selling the mine than recovering the bodies of those killed in the disaster. Barnett supports WA FIFO community (0) March 17, 2011 West Australian premier Colin Barnett has backed plan to create a fly in fly out community in Manjiump. 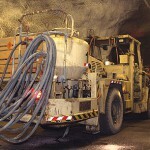 Focus Minerals’ production to rise by up to 60 000oz per year (0) March 17, 2011 Mining has started at Focus Minerals’ high-grade underground mine, The Mount and could add up to 60 000 ounces per year of gold to the company’s output. 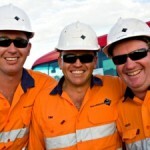 Bowen Basin sees record FIFO numbers (0) March 17, 2011 Non resident FIFO and DIDO mining numbers reached a record high in the Bowen Basin last year. 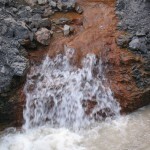 Rio Tinto profit more than doubles; drops injury rate (0) March 16, 2011 Rio Tinto has released its yearly review, outlining its jump in profits and increased safety on site. 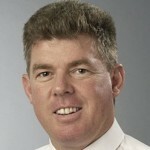 Gindalbie Metals announces new CEO; increases Karara cost (0) March 16, 2011 Gindalbie Metals has announced the appointment of Tim Netscher as its new managing director and CEO from the end of April 2011. 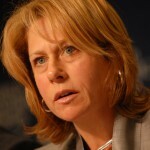 Premier Keneally outlines strict coal seam gas guidelines (0) March 16, 2011 New South Wales Premier Kristina Keneally has sided with farmers and environmentalists on the contentious issue of coal seam gas. 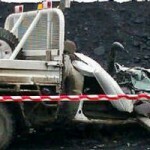 Anglo American under investigation for mine safety breaches (0) March 16, 2011 Anglo American’s Queensland operations are under investigation following dangerous incidents including the sudden flooding of part of the Grasstree coal mine. 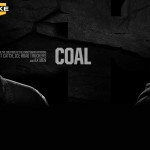 Lights, Camera, Coal [Video] (0) March 15, 2011 A new reality show about coal miners will showcase the daily realities at a coal mining site. Oakajee gets conditional approval (0) March 15, 2011 Two major infrastructure proposals for the Oakajee deepwater port project has been given conditional approval by the Environmental Protection Authority. Blasting on hold at BMA coal mines (0) March 15, 2011 The Queensland mines inspectorate has put a hold on blasting at BMA’s Saraji and Peak Downs coal mines. 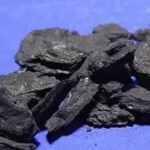 Norton Gold Fields completes coal sell off (0) March 15, 2011 Norton Gold Fields has announced it has completed a sell off of its coal projects. 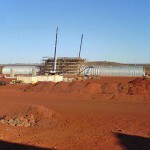 Magellan restarts lead mining at Wiluna; holds off on transport (0) March 15, 2011 Magellan Metals has restarted operations at the Wiluna lead mine but has delayed transportation. 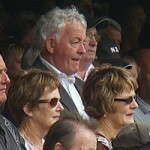 Bligh faces Darling Down anger over mining (0) March 14, 2011 Unhappy landholders and environmentalists in the Darling Downs have called for miners to be blocked from their communities. 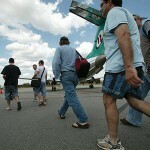 FIFO miners should subsidise airport, Chandler says (0) March 14, 2011 Mining companies should aid part of a million dollar upgrade of the Alpha airport in central west Queensland, Barcaldine mayor Rob Chandler has said. Solid Energy wants to buy Pike River (0) March 14, 2011 The embattled Pike River Coal mine may have a future, following revelations New Zealand’s state-owned mining company Solid Energy want to purchase the coal mine. 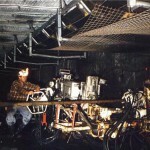 AJ Lucas sells drilling services company to Industrea (0) March 14, 2011 AJ Lucas has sold its Underground In-Seam Services drilling business to Industrea for $25.5 million. 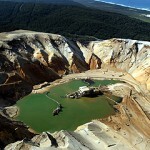 Mining activists ‘killing off jobs’ in New Zealand: ACT (0) March 14, 2011 Environmental activists are “killing off jobs” in the industry that is crucial for New Zealand’s economic future; mining. Underground collapse stops work at Birla Mount Gordon (0) March 14, 2011 Underground mining work has been suspended at Aditya Birla Minerals’ Mount Gordon copper mine following a collapse of the F1 vent shaft collar. Coal protestors block Newcastle port (0) March 14, 2011 Rising Tide environmental activists blocked coal exports at Newcastle on Sunday. 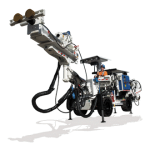 Did you know Australian Mining has a digital edition? 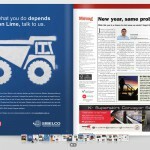 (0) March 11, 2011 Australian Mining now has it’s magazines online. 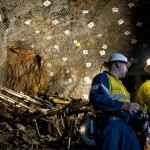 Xstrata moves on developments at Mcarthur River Mine (0) March 11, 2011 Xstrata Zinc has announced it is looking to increase capacity at its MacArthur River Mine (MRM) in the Northern Territory. St Barbara sees rain disruption at Gwalia gold mine (0) March 11, 2011 St Barbara’s Gwalia mine has seen limited flooding and damage to the Hoover decline and the lowest parts of the mine. 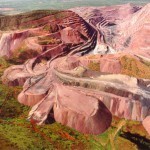 Rio Tinto increases Riversdale offer (0) March 11, 2011 Rio Tinto has increased its offer to for coal producer Riversdale Mining, in an effort to avoid a shareholder standoff. 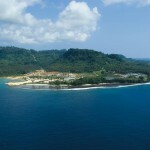 Allied Gold denies PNG spill (0) March 11, 2011 Australian mining company Allied Gold has denied reports of waste is killing marine life in Papua New Guinea. 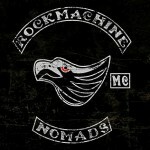 Unsafe Practices: How not to blast [Video] (0) March 11, 2011 Two Canadians show how not to carry out blasting on site. 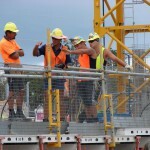 Macmahon wins Gladstone LNG civil works contract (0) March 11, 2011 Macmahon Holdings has been awarded the Gladstone LNG civil works sub contract in Queensland by Bechtel Australia. More fights for QLD FIFO workers (0) March 11, 2011 Fly-in fly-out (FIFO) workers in Queensland will have more flights available to them in the coming month, as Qantas increases its number of aircraft. Tony Burke allows Tarkine environmental protection to drop (0) March 10, 2011 Federal Environment Minister Tony Burke has allowed proposals to protect the Tarkine wilderness area in Tasmania to drop. Coal mining and gas exclusion zones in Hunter Valley (0) March 10, 2011 State Planning Minister Tony Kelly will put forward coal and gas mining exclusion zones as part of Labor’s land use strategy. Prince William to visit Pike River; Queensland (0) March 10, 2011 The people of Greymouth are “tickled pink”, according to Mayor Tony Kokshoorn, about the impending visit of Prince William. 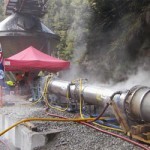 Mine Stabilisation Plan at Pike River (0) March 9, 2011 Pike River Coal receivers have announced they have resumed control of the mine stabilisation at the underground mine where 29 men were killed in November. Coal miners in hospital after blast (0) March 9, 2011 Twenty four miners from BMA’s Peak Downs and Saraji mines have been taken hospital following two separate blasts. 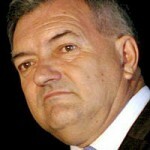 Xstrata’s new chairman announced (0) March 9, 2011 Xstrata has appointed a new chairman, increasing speculation the mining giant is looking to merge with commodities company Glencore. 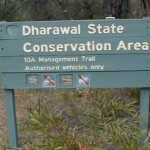 Mining licenses in Dharawal conservation area revealed (0) March 9, 2011 The Coalition has been dealt a blow for one of its key election platforms, with unpublicised mining licenses revealed on its planned national park in Sydney. Coalmine cracks leaking methane gas into Sydney drinking water catchment (0) March 9, 2011 A coalmine has cracked the rock underneath it and methane gas is now bubbling through one of Sydney’s key drinking water catchments. 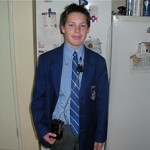 Stricter mine safety laws in QLD (0) March 9, 2011 Changes outlined in Parliament yesterday will create tougher safety standards for the mining industry. 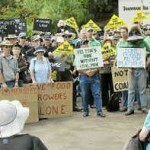 Hunter to consider ban on coal mining (0) March 9, 2011 The Upper Hunter Council will be meeting to debate whether the shire bans coal and gas mining. 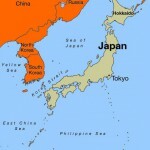 Japan to mine the seabed (0) March 9, 2011 Japan has begun making changes to its resources laws to allow mining of the seabed. Mine rescuers attempt to re-open Xstrata’s Blakefield South mine (0) March 8, 2011 Mine rescue services are attempting to re-open Xstrata’s Blakefield South coal mine following an underground fire in early January. 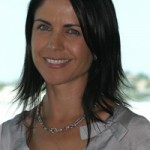 Queensland sets 20 per cent female employment target for 2020 (0) March 8, 2011 It wasn’t only up-and-comers and new innovators recognised at the annual International Women’s Day Breakfast and Resources Awards breakfast held this morning in Brisbane. Brown coal to liquids technology progressing in Gippsland (0) March 8, 2011 West Australian company Greenpower Energy is transforming Victoria’s coal sector. 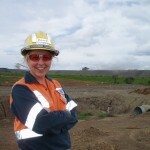 Mining women recognised at awards (0) March 8, 2011 As the number of women in the mining and resource industries increases, their presence and importance is being recognised and rewarded. 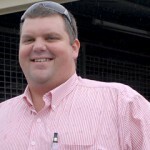 BGC Contracting name new CEO (0) March 8, 2011 BGC Contracting has named Greg Heylen as its new CEO. 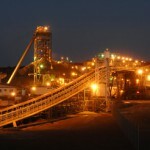 Rio Tinto miner injured; airlifted to hospital (0) March 8, 2011 A 33 year old contract miner has been airlifted to hospital after being injured at Rio Tinto’s Argyle diamond mine. US miner falls down shaft, left to die (0) March 7, 2011 A US miner was left to die after rescue crews decided recovery was too dangerous. 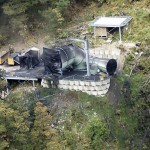 Mining could resume at Pike River without recovery (0) March 7, 2011 Pike River Coal receivers have confirmed mining could resume at the site without recovering the remains of the 29 men entombed there since November. 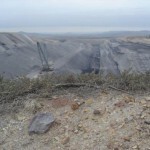 Central coast coal mine proposal rejected (0) March 7, 2011 The Wallarah 2 coal mine has been rejected by the NSW Department of Planning. Nathan Tinkler pushes for coal loader at Mayfield (0) March 7, 2011 Nathan Tinkler’s Hunter Ports is pushing for coal loaders on the former BHP site at Mayfield in Newcastle. 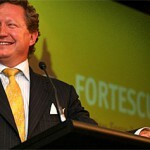 Weather damaging Fortescue’s Pilbara operations (0) March 7, 2011 “Fortescue Metals Group Limited advises that continued and heavy rainfall across the Pilbara is impacting on the company’s mining operatiosn,” it said. 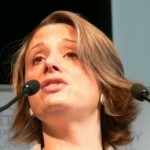 NSW to be taxed twice under Baird plan, Keneally says (0) March 7, 2011 A NSW State opposition plan to implement a mining tax would drive jobs overseas and interstate, Premier Kristina Keneally has said. 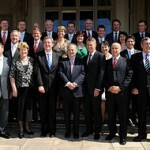 Barnett aims for more Australian resource contracts (0) March 7, 2011 Western Australian Premier Colin Barnett says the country’s major resource companies are increasing the amount of local work on significant projects. 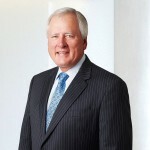 Rio Tinto board changes (0) March 4, 2011 Rod Eddington and Yves Fortier have announced they will be retiring from the board of Rio Tinto.